When you next move house, imagine something bizarre happens; CDs play backwards, the TV changes channels every five seconds, and your family photo albums are mysteriously blank. This sounds like a goofy B-movie. But there’s an eerie parallel that can happen when you move to a new contact center platform or solution. There’s always an air of optimism when companies upgrade their contact center platform, move to a new solution, merge two technology stacks or transition to the cloud. You’ve outgrown what you owned before. And now there’s a real chance to thrive in a new environment that fits your needs today. It’s been expensive, of course. But everyone feels positive and is raring to go. But the problems can start when you try to unpack and reassemble familiar possessions that will complete your new world … important things, like your much-loved applications. You need your applications working immediately in the new environment. But they behave strangely. Key controls and features have either vanished completely, fail to work as expected, or even trigger a series of other problems. It’s as if all that critical application behavior and functionality has fallen between the cracks during the move. Those hard-to-quantify nuances you’d delicately tuned over many years … that fitted your organization so snugly before and protected the customer experience … have vanished. The trouble is, no-one can precisely recall how every detail worked previously, because proper documentation was never kept updated. And the people who knew how it all functioned may have left years ago. Restoring your application to how it should be is virtually impossible. Now it’s possible to avoid this scenario, keeping all your application assets – and your sanity. Solutions and integration specialist PSS has just published an e-guide that tackles this specific issue. It’s called Contact Center Application Migration: Ensure your business-critical applications make the journey intact. The guide explains how it’s possible to achieve a seamless migration involving any combination of application, vendor, and version – old and new. An independent, third-party provider like PSS can bridge the gap, so everything migrates in one piece. They can bypass tricky proprietary obstacles and make the process seem effortless. Here’s another link to your free copy of the e-guide. We can provide the vital specialist services and resources in key areas such as blueprinting your application with testing and documentation before you migrate. Then there are some smart tools and techniques for automated conversion, integration and testing. As a result, your familiar, much-loved applications will work just as well in your new environment, so you get the best of all worlds. Most of us own a box of audio cassettes … recordings of a top 40 radio chart show, an album loaned by a trusting friend in 1990 and a mix tape we made for a classroom crush (but never had the courage to give them). When it comes to moving home, you just take the box with you. No big deal. But what if you’re a financial organisation? For financial companies with contact centers, it’s a different story. The business of managing old tapes can get complex, expensive, risky and time-consuming … long after the recording machines have whirred to a halt. 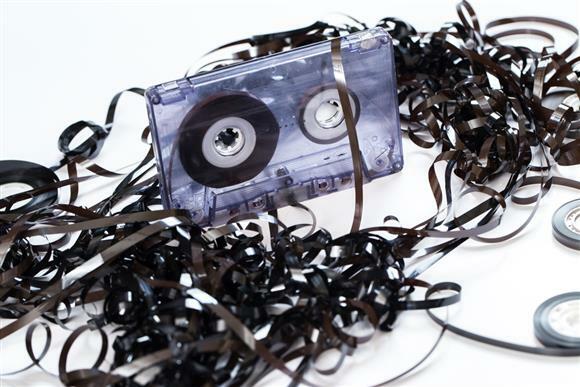 Every month, more financial institutions are ditching tape as their format for recording customer calls, preferring disk-based technology or maybe an open standards database. Some of them will move from vendors like Nice to Verint … or from Verint to Nice, upgrading in the process. But any idea that you’ve said ‘goodbye’ to tape for good is misplaced. The stuff wraps itself around your arms and legs like tentacles. At least, that’s how it can feel. Those dusty old ribbons are still needed for compliance and e-discovery reasons and they won’t let go. And you can’t dare to let them go. You might need to keep hunting through countless calls for audits, governance issues, discipline matters and to fight legal claims against you. Rather than just one box in the attic, there may be hundreds of them, going back years. Worse still, the irony is that companies may still have to keep their creaking old tape system running – even though it’s officially be decommissioned. That means extra cost, space, power, time and money. Otherwise there’s no way to replay those old tapes! Firstly, you can keep your old, tape-based call recording system fully supported in the run-up to when you move to a new solution with a different vendor. That avoids being dumped or penalized by the old vendor, who’s in no mood to be helpful. See PSS’s e-guide called Contact Center Application Migration: Ensure your business-critical applications make the journey intact. Secondly, when you’re ready, it’s possible to extract all your old calls and meta data from tape drives and call recorders onto disk or an open standards database – and to do it automatically. This can be completed in a fraction of the time and cost of any manual process. Even better, files are indexed during the process to make searching faster later. For some powerful ways to protect your brand as regulators get tougher or to find out how you can guarantee compliance in the way you record, store and retrieve customer calls, download our free recently published 3 Step Call Recording Compliance Guide click here. Imagine being forced to take your Ex out to dinner every night for six months - at a time when they are extremely unhappy with you and determined to make life awkward! They order lobster and champagne (because you're paying) and whenever you say something - they ignore you. This scenario may raise a few knowing smiles (and possibly trigger a few horrific flashbacks!). But something similar can happen in the business context - when you decide to update your contact center technology and go with a different vendor. The decision has been made and everyone's excited about the new features and capabilities on the way, even if there's plenty of hard work ahead. Usually, it'll be months before your new solution is up and running. In the meantime, you've got to thrash out some kind of support for your old system - and keep things ticking over with your previous vendor. But there's a problem. Your once-friendly vendor turns frosty. Firstly, they're miffed because you had (rightly) ignored their warnings about how the world would explode if you left them. And now you've switched your affections to an arch rival. Why should they bother to help you any more? There's nothing in it for them. In fact, they're more interested in other customers who will 'value them'. Procurement directors and call center operations managers may feel the backlash. Prices for extended support during those final months can suddenly rocket. Yet quality of service slides alarmingly. 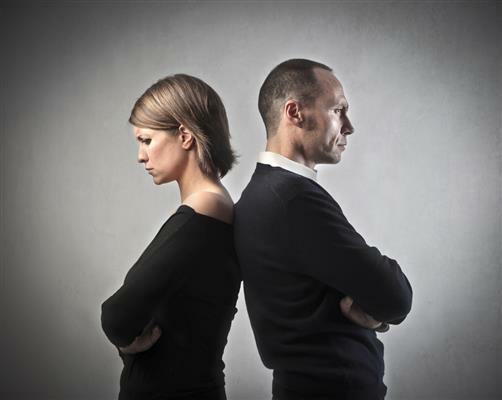 Your ex-vendor becomes slow to respond - and this impacts your uptime. Instead of being free to focus on the readiness for your new solution, you're mired in a mess with the old one. For some companies, this scenario can seem unavoidable ... just a case of gritting your teeth and bearing it all, even if it costs you dearly. I know of other organizations that have completely refused to cave in. One of them tried to 'wing it' and do without applications support completely for those final months. But their systems failed spectacularly and they then faced the worst scenario of all - having to grovel to their previous provider and pay through the nose to switch support back on. But it doesn't have to be this way. Take a look at a new e-guide from PSS called 'Why juggling relationships when updating your contact center technology often ends in tears'. It's refreshingly honest about the problems but equally practical about how to get around them. The guide explains how you can ensure your old infrastructure runs smoothly and cost-effectively in the critical months before you move to new call center technology. With a trusted, third party support partner in place - for however long you need - you're suddenly free to give all your attention to preparing the way for your new solution. No more agonizing sessions with the Ex. Perhaps just a cheery card at Christmas. Click here to download your free copy of the e-guide. Ive just read a blog on choosing a Cloud IVR system which, to me, sounds like advice from the 1980s. Back before VXML and web applications, IVRs were siloed technology, self-contained, often inflexible and always proprietary. I thought we’d moved on! Moved on from there to open standards, flexible solutions, that are integrated with other systems and specialising in customer interaction, rather than an end-to-end business silo. Well not in the Cloud world, if this blog is anything to go by. I don’t want to go through all the author’s 10 key questions, but some are frankly weird in the 21st century. What else would it be? Does it use SIP, Web Services, HTTP/S? The question of whether applications are developed in VXML is only a small part of being open standards based. To be frank, other providers of ASR are not generally available – there’s one big player – but even if you pick an ASR vendor that doesn’t begin with N the issues mentioned of unusual voices and accents should not be a major issue. EVERYBODY has an accent – it’s just a question of whether that accent was covered by the training data for the ASR. Any IVR should be designed for your business needs, and the needs of your callers. Authentication processes, callflows and transfer destinations don’t come out of the box – or if they do, they weren’t designed for you. Gone are the days when you could expect every caller to know their account number, or to choose between sales, billing and nothing else. Customers expect a good IVR to help them reach their goal, whether that’s self-service or speaking to an agent. If Cloud offerings are one-size-fits-all, your IVR will be as unpopular as the ’80s and ’90s systems which created the term “IVR hell”. This isn’t the job of an IVR. A modern IVR is no longer a CRM system, scheduler, dialer and business rule engine rolled into one. These functions belong to different components of a modern web-based architecture. 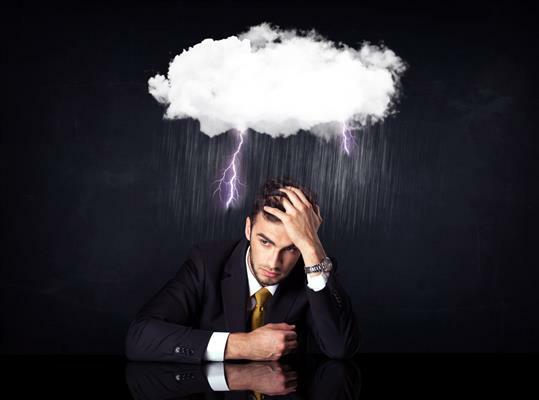 If Cloud providers are recreating the IVR silo, they will suffer the same fate. Call-backs, customer records, and complaint handling are all specialist functions which deserve their own processes and technology. Don’t tag them onto the IVR and expect a good result. No of course you can’t try it out! It hasn’t been designed to meet your needs yet. If you want to try out someone else’s IVR, that’s fine. If you want to see what comes out of the box, and then discuss how it needs to be adapted to fit your requirements, that’s also fine. But don’t expect any decent IVR provider to already have the perfect solution for you, unless all you really want is an answer phone. Today’s IVR systems are as personally tailored as a website. Would you go to a web designer and say “Can I try it?” – No. I know there are off-the-shelf IVRs from respectable providers, but they need to be configured, customized, coloured in to match your brand. And even then, they will require regular change to keep up with changing customer behaviour or business needs. In some cases you can do a lot of this yourself – but just as you wouldn’t redecorate your front office or redesign your corporate logo without expert advice, you should think twice before taking a DIY approach to your customer contact portal. Cloud IVR is a real option for many businesses, and I am sure there are expert providers who will do an excellent job of tailoring the best solution for your business. Anyone who tells you you can buy IVR off the peg is not providing what your business and your customers need – and we all know the customer is king in these days of social media and internet searches. If you can’t find a provider who will deliver a customized and flexible IVR from the Cloud, or if you want to be sure that a shiny new Cloud solution will be as good as your existing IVR – honed over many years to meet your needs – don’t despair. There are people who can help. But you will need to ask better questions than the ones above. Imagine you’re a call center manager. You’re one of the lucky ones. You have great agent retention, your people are skilled and motivated, and you are meeting your targets. But under the surface, your teams are stressed to the eyeballs. What’s going wrong? We visited a contact center with exactly this profile recently. Average agent retention here is five years or more, partly because there are few other employment options locally. Which is just as well, because training time for new colleagues is actually pretty high. There’s a lot to learn. Each agent has around twenty different systems on their desktop, with different processes in each, and different passwords to remember. Some people arrive up to half an hour early, just to log in to all these systems and set up their desktop before their shift starts. And with the amount of load those desktop PCs are handling, breakdowns and freezes are commonplace. The whole login process can be repeated several times a day to restart tools or unfreeze windows. Then there are the processes which simply aren’t supported by technology. In this contact center, callbacks are noted down on a piece of paper and left in the agent’s locker overnight. If the agent isn’t in the next day, they have to find a colleague to make the callback – or tell the customer their promised callback won’t happen – or just miss it and wait for the frustrated customer to call and complain. Things are just as stressful for the team leaders. Any changes to daily processes, shifts, or emergency messages have to be communicated to each agent individually, face to face or on paper – there’s no instant messenger, no group chat. Same applies for agent performance: each team member’s stats have to be communicated in person, which is perhaps no bad thing, but the team leader first has to get the stats from a handful of different systems and laboriously paste them together, being careful to remember the different sorting orders of each data set. One small error, and everyone gets the wrong performance results! Plus the usual resourcing issues, password resets (a regular occurrence after any vacation, with twenty passwords to remember!) and management updates. Team leaders don’t have much time left to observe their teams and improve performance. Fortunately, at this Contact Center, most of the team member are pretty self-sufficient. These customer service reps know their business and how to keep their callers happy. They get good customer satisfaction scores, and they are motivated to meet their targets every day, week, month. 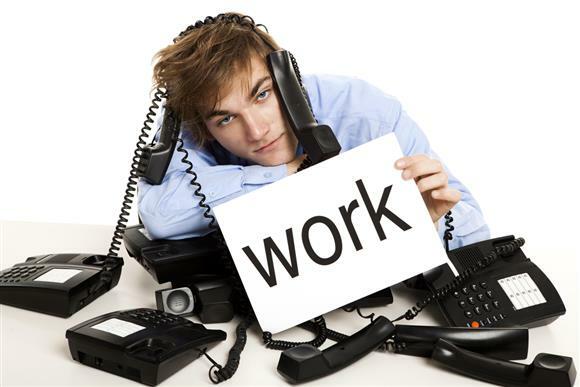 This is a workforce most call center managers can only dream of. But most of the time they are clicking from screen to screen, apologizing for putting the caller on hold, while they restart flaky old systems and navigate the dozens of internal processes needed to resolve a customer’s issue. Their days are long and stressful, and their frequent absences are not surprising. Imagine if you could give them a single unified desktop, with a consistent look and feel, which managed their passwords, allowed them to chat with their supervisors, showed them when escalation teams or back office staff were busy, allowed them to schedule automatic callbacks, and gave them real-time feedback on their performance for this shift or this month. How much more efficient could they be? How much less stressed would the managers be? How much better would everyone in the contact center feel? And how much more loyal and satisfied would your customers become?